What Makes You Beautiful? - Welcome to SarahKesseli.com! Today’s post is a bit different than most that I have shared before. It is a bit emotional, but something I felt to be important that I share. Are we just too busy? Do we not believe we are beautiful? Do we think that beauty lies only on the outside so we focus on the exterior instead of the interior? What exactly is the reason why so many (women especially) do not think they are beautiful? I can tell you first hand that I have battled with this as well. It has taken me many years to learn to believe that I am truly beautiful; both inside and out. Learning to love yourself for what and who you are is no easy task. But it is so important that we DO love ourselves! It is a key ‘ingredient’ to our personal health recipe. We do not need to rely on others to tell us that we are beautiful. We should dig deep inside and tell ourselves daily how amazing we are! I think the reason why these lyrics struck home with me today was because after an amazing day with my mom filled with sun, warmth, great conversation, iced coffee, frozen yogurt, shopping etc, it made me realize how beautiful life is. How it doesn’t matter how frizzy my hair is 😉 or if I have a zit on my face or what size my clothes are…..but that I am able to give and share love with people, bring a smile to someone’s face or be there for someone when they need me. I know that those things are part of what make me beautiful! But this post isn’t only about me, but about YOU too! 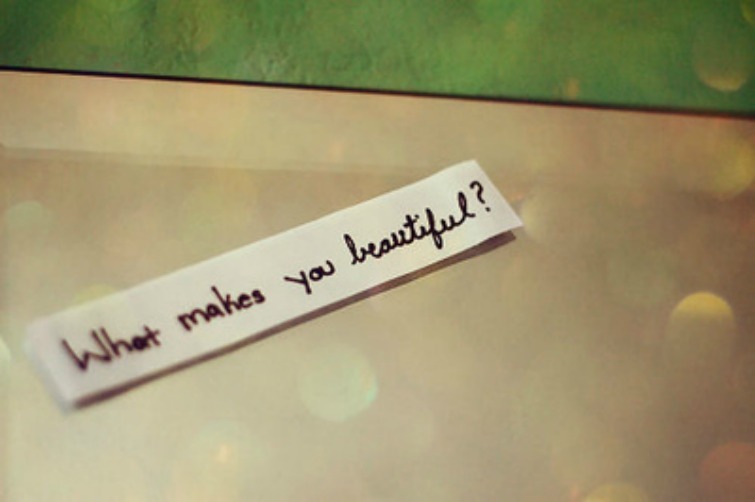 For the next 7 days, I want you to share one thing daily that makes you beautiful! Each day, for the next week, I will post something on Instagram, Twitter and Facebook reminding you to share your ‘beauty’ that day! You can also leave a message at the bottom of this post if you do not have any social media channels. Your beauty can be anything you want! My hope is that we can all begin to truly love ourselves by taking the time each day to say something positive! So, are you ready to join me in? I am beautiful because………I am stronger each day both mentally and physically.